Today was the first day of training on Performance Based Logistics (blah bla blah bla blah...). It took going through four (yes, four!) security checkpoints just to get to my classroom. I had to read it twice to make sure I understood correctly. 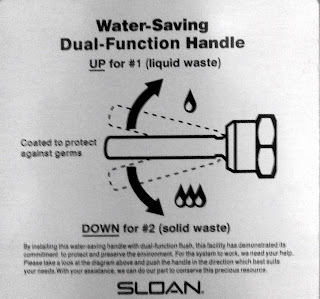 It actually said #1 and #2, people!! I was happy that I was in there alone, because other bathroom patrons would have probably been wondering why laughter was coming from my stall. 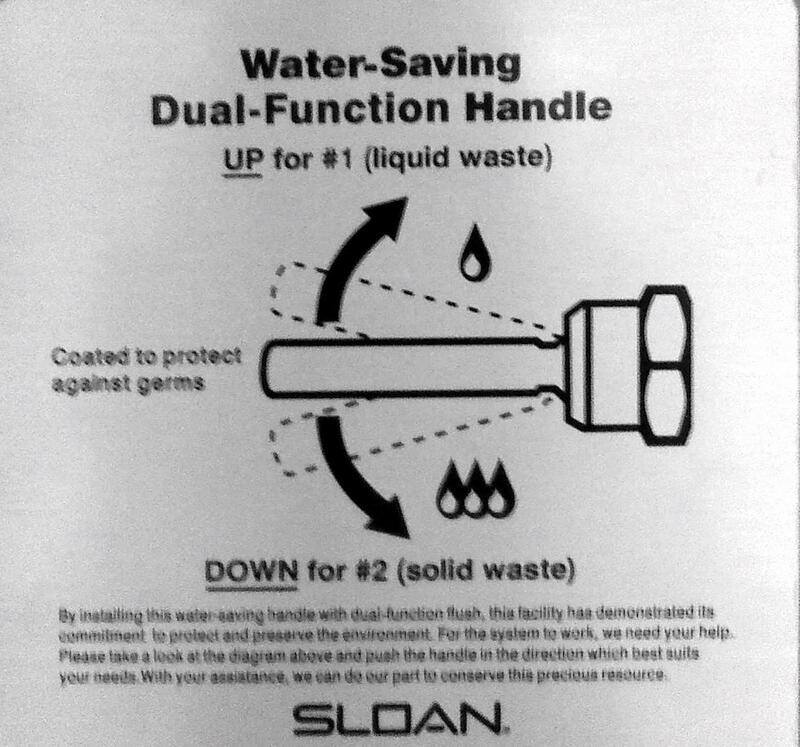 After I got over the immature-five-year-old-giggles of the diagram and its verbiage, I thought the idea of this toilet flusher was completely genius and was really quite surprised that I had never seen this before (especially since Washington is so green and Earth-conscience). I am always paying attention to signs and enjoy find those ones that make you think twice, or make you look twice. This was definitely one of them, and just might top the list. Have you ever seen anything like this?... Or ever seen any weird/bizarre signs that made you think or look twice? PLU (my undergraduate university) had these, and I've seen 'em in Texas too (but only in big cities).